Thank you to everyone who participated in our first annual NE Distance Community 5k last weekend. Renner magazine was on site and made a great video. We had folks from age 11 to 77 in the race. What a great way to kick off the spring. Join our race Facebook page to see photos from this year and get updates on next year’s race. the New Balance Boston Twilight Meet at UMass Lowell Saturday night. easily winning the race in 8:47.07. Checkout the entire race on Flotrack where the announcer describes him as running “as smooth as butter”! 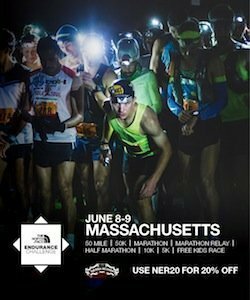 Our athletes will be competing at the next New Balance Boston Twilight Meet on June 1 at Bentley College in Waltham, MA. David Goodman will also be competing on June 8th at the Portland Track Festival in Portland Oregon where he will be seeking a qualifying time to compete at the USATF Outdoor National Championships. racing on Sunday to get in.